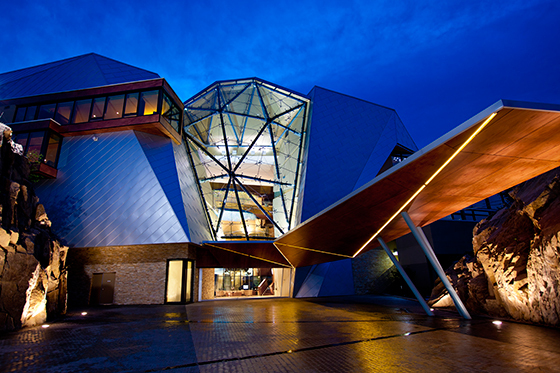 Swarovski crystal-infused Sparkling Hill Resort is, in a word, astonishing and, as a fact, the only hotel in the world to incorporate Swarovski Crystal into every element of its design! Over 3.5 million crystals are infused within this modern oasis – a most remarkable hotel and wellness centre with European-inspired design elegance. 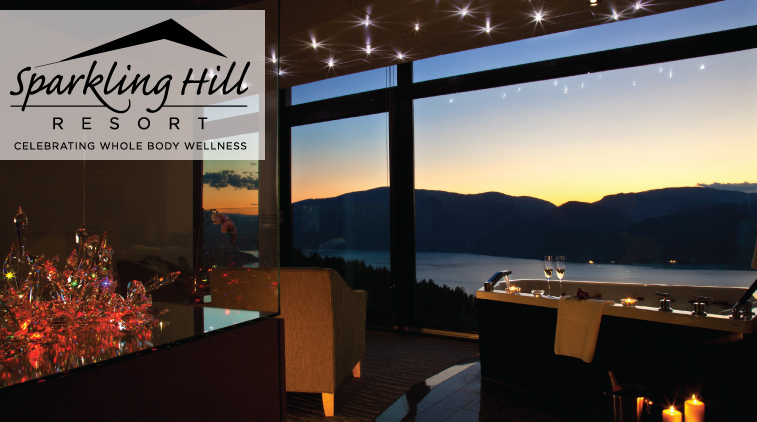 Nestled in the mountains near Vernon, British Columbia, home to the awe-inspiring 40,000 square foot KurSpa, boasting sustainability achievements like geothermal heating and cooling, and overlooking Lake Okanagan; your personal journey to whole body health and wellness begins here. Whether you want to unwind in the serenity of the resort complex’s award-winning architecture or explore what BC’s famous Okanagan Valley wine region has to offer, UBC alumni are invited to relax, renew, and revitalize at Sparkling Hill Resort. *This offer is valid for individual travel of UBC Alumni members only, not applicable to multiple rooms, groups or events and is not combinable with any other rates or promotional offers. The alumnus must be staying in the room to receive this special rate. This offer can only be booked within 90-days of your chosen stay dates, based on availability. Taxes and gratuities are not included. Rates are based on single or double occupancy – a third or fourth person per room for an additional fee. Offer is subject to availability and is valid from January 2 to December 15, 2019, excluding holidays and long weekends**. This offer is not applicable to Penthouse Suite reservations. You must quote the exclusive promo code to receive this special rate. Your valid UBC Alumni Card is required upon arrival to match your photo ID for check-in. 2018 Blackout Dates: January 1, February 15-18, April 19-22, May 17-20, June 28-July 1, August 2-5, August 30-September 2, October 11-14, November 8-11. Like Sparkling Hill Resort on Facebook.